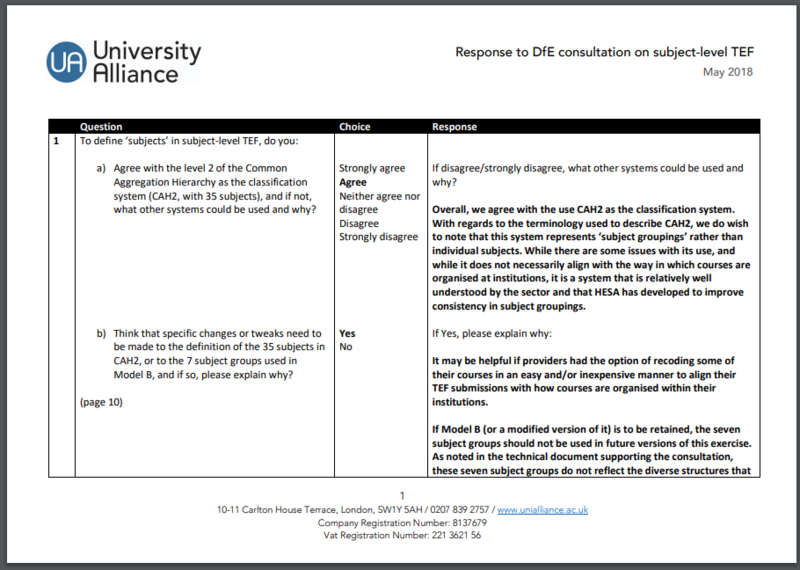 University Alliance has published its response to the consultation on the development of Teaching Excellence Framework at subject level. To read UA’s response in full, follow this link. An accompanying alternative subject-level TEF model design is online here.